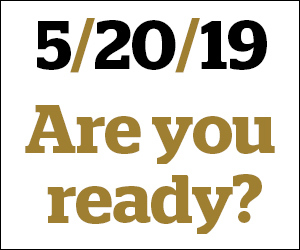 Federal education officials notified eight universities involved in the college admissions scandal, including Wake Forest, last Monday, March 25, that the U.S. Department of Education is conducting a “preliminary investigation” into university admissions procedures. Politico broke the news about the new investigation on the evening of March 25. 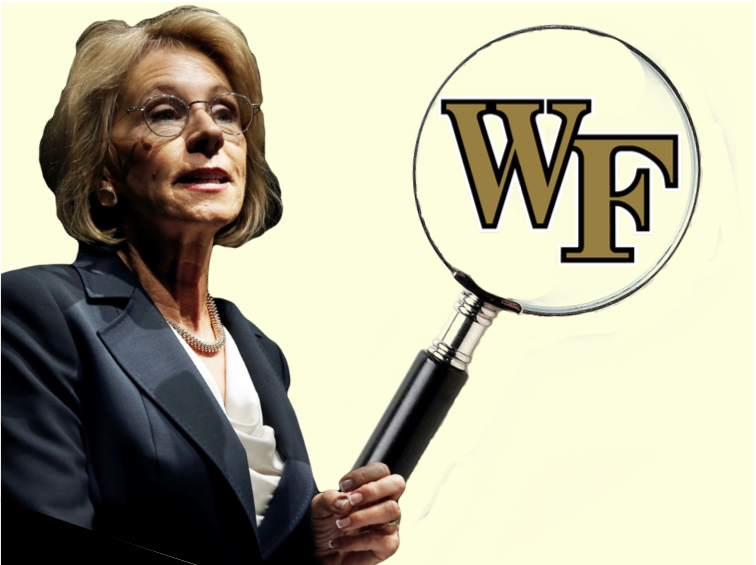 A statement provided to the Old Gold & Black by President Nathan Hatch confirmed that Wake Forest was one of the universities to receive a letter from the U.S. Department of Education. Letters were also sent to the presidents of other universities involved in “Operation Varsity Blues,” including Yale, the University of San Diego, Stanford, Georgetown, the University of Texas at Austin, the University of Southern California and the University of California, Los Angeles. According to Politico, the investigations are being led by the department’s Student Aid Enforcement Unit, which has the power to issue subpoenas. “According to the letter, the Department of Education is focusing its review on the universities involved to ensure there were no violations of laws and regulations governing Federal student financial aid programs related to the admissions scandal,” said Hatch in his statement. It’s possible, according to BuzzFeed News, that the investigation includes searching for employees or other people involved with the university who may have committed fraud, misrepresentation or other illegal behaviors as it relates to financial aid programs. “The allegations made and evidence cited by the Department of Justice raise questions about whether your institution is fully meeting its obligations,” the Education Department official wrote in the letter addressed to the president at The University of Texas at Austin. The department is demanding that the universities turn over information about their admissions standards, policies and procedures within the next 30 days. This includes recruiting tactics for students recruited to athletic teams since Jan. 1, 2009, marketing and promotional materials, official records of any student admitted under fraudulent circumstances and statements made to organizations that rank schools, such as U.S. News and World Report. Department investigators also asked the universities to identify the names of all students mentioned in the allegations raised by the U.S. Department of Justice and to report any disciplinary actions taken against employees charged by federal prosecutors. Hatch said the university is currently in the process of gathering the request for information. If it is discovered that Wake Forest or any of the other universities violated any federal education regulations, they could, at the most extreme, lose access to grants and student loan money. Universities receiving federal student aid for grants, loans or work-study programs must demonstrate “administrative capacity” and have proper procedures and policies to administer federal money, according to an article by BuzzFeed News. Similarly, in order for universities to continue participating in any Title IV or Higher Education Act programs, they must demonstrate that it is “adequately administering” those programs in accordance to the law, according to an article by NBC News. An email from Hatch directly following the news of the college admissions scandal stated that the university is being considered by the U.S. Department of Justice as a victim of fraudulent behavior, and that the indictment does not allege misconduct by the university or any of its employees. “In no way has it been suggested that the university was involved in the deceitful practices, nor were any employees, other than [Head Volleyball Coach Bill] Ferguson, accused of wrongdoing,” said Hatch in his email. While Hatch claimed the university has not committed fraudulent behavior, he made it clear that Ferguson has been accused of accepting a payment to influence the admission of a student who had been placed on the waitlist. However, Ferguson pleaded not guilty at an appearance at a federal court in Boston. Several schools have already fired head coaches and employees for accepting bribes to help students gain admission, as well as rescinded admission to students accepted under fraudulent circumstances. Ferguson remains on administrative leave, and the student admitted to Wake Forest remains enrolled and unknown. Hatch has stated that the university has no reason to believe the student was aware of the alleged financial transaction that helped them gain admission into the university. Unlike with the news of the indictment against Ferguson, the university did not send out a community-wide message regarding the letter from the Education Department. Hatch also stated that the university is continuing to cooperate with the Department of Justice in its ongoing investigation and will do the same with the Department of Education’s review.